Taylor never met a stranger. He was quick to give out his signature warm hugs and high fives to everyone who crossed his path. He loved seeing people happy, laughing, and having a good time. Taylor loved all things superhero. He was intrigued by their strength and the ability to adapt to any situation, a skill he used in his everyday fight. Taylor enjoyed boxing, USC football, Yankee baseball, and Laker and Warrior basketball. Taylor’s favorite activities included outdoor play, bike riding, building Legos and watching SpongeBob and River Monsters. He was a champion at life and lived it on his own terms. He never let his circumstances determine his attitude and took advantage of every day of his life. He traveled the country, visiting New York, Florida, California, Utah, and Hawaii, appreciating the beauty if each place and its people. He touched hearts around the world and met people from all walks of life. He showed the same agape love to all who met him. 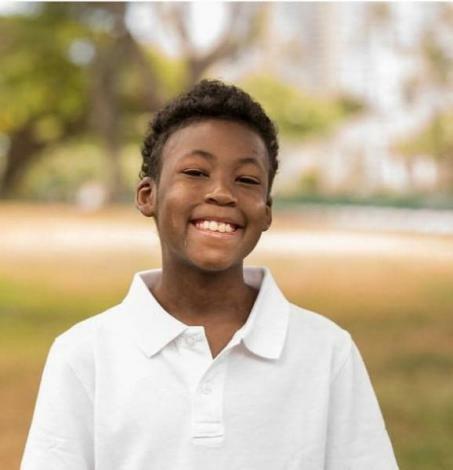 Although Taylor was first diagnosed at age 6 with Acute Lymphoblastic Leukemia, it was ultimately his secondary cancer, Acute Myeloid Leukemia that took his life shortly after he turned 11. The fighting spirit of Taylor is what inspires The Leukemia & Lymphoma Society’s fight to fund research that will find a cure to blood cancer. Taylor will forever be missed and continues to be a daily inspiration!